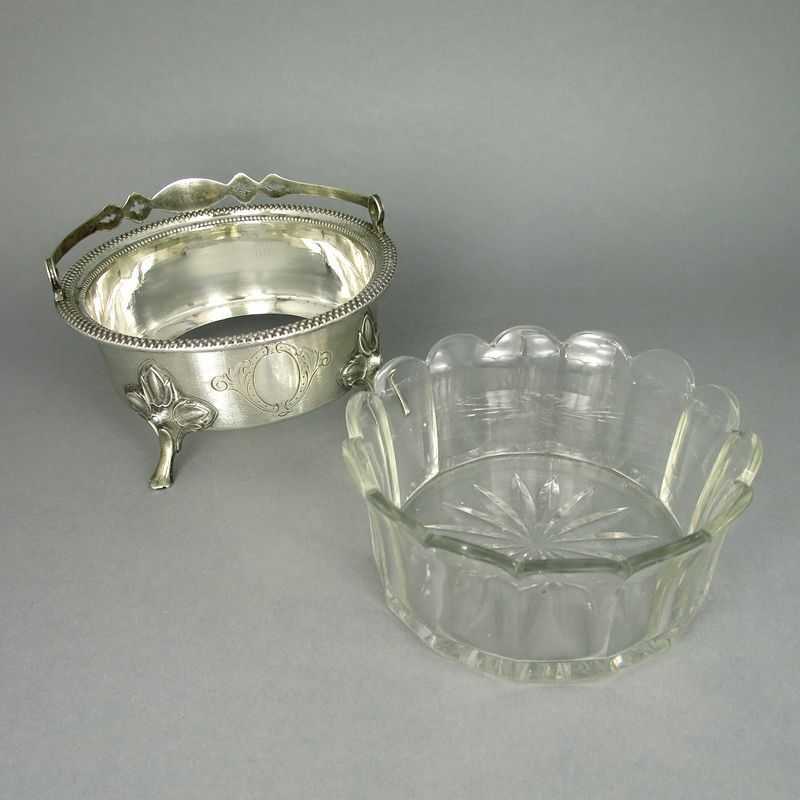 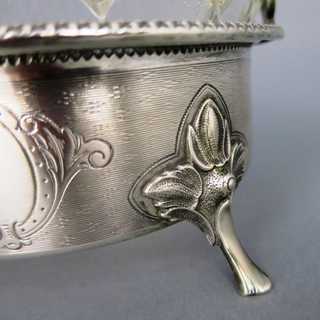 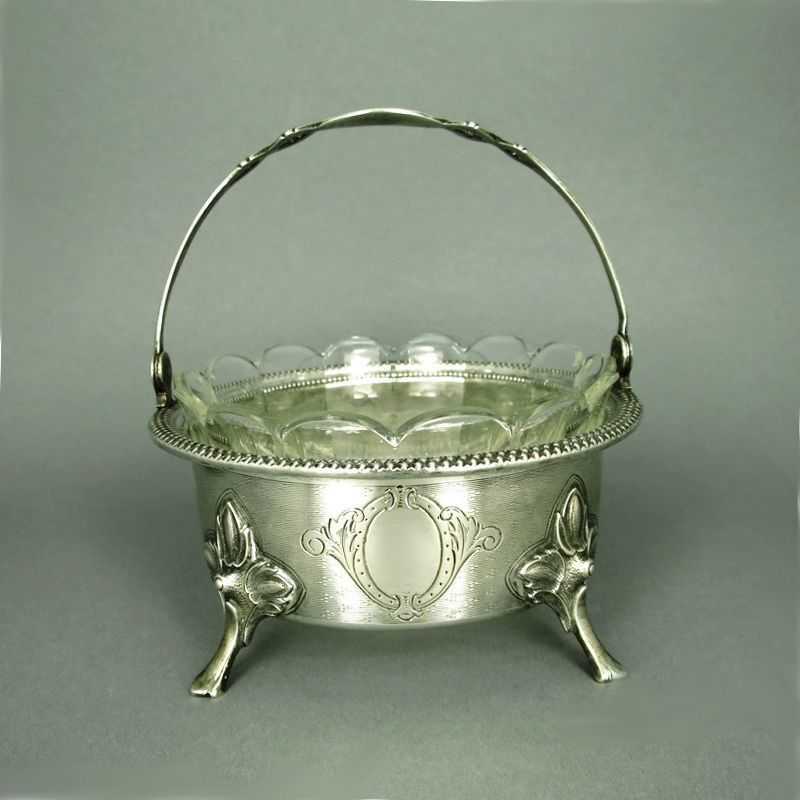 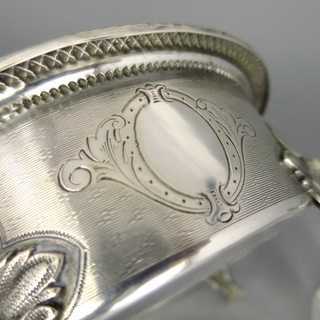 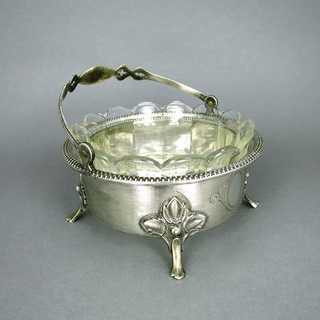 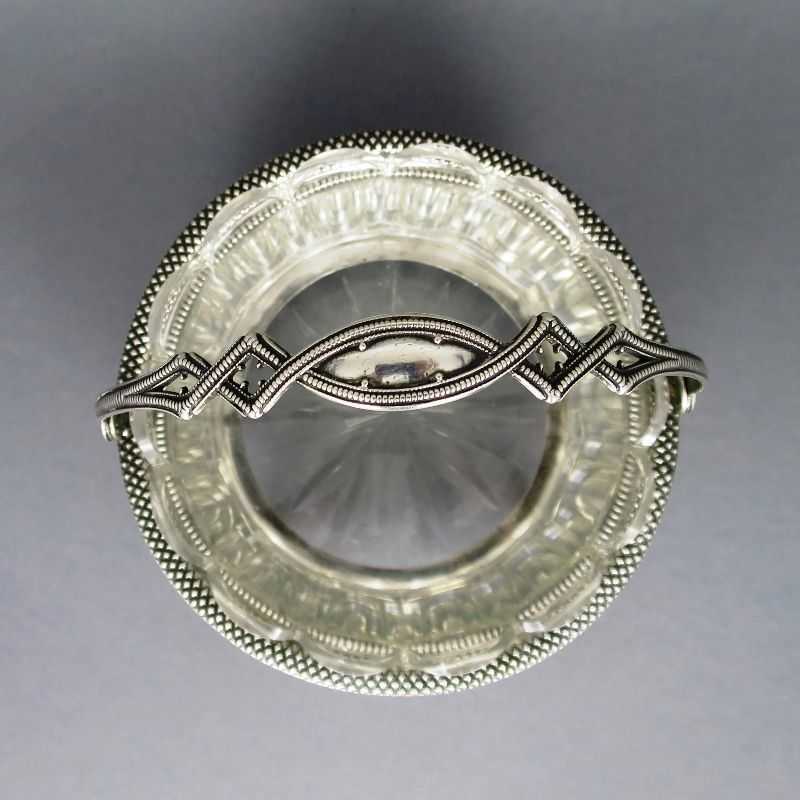 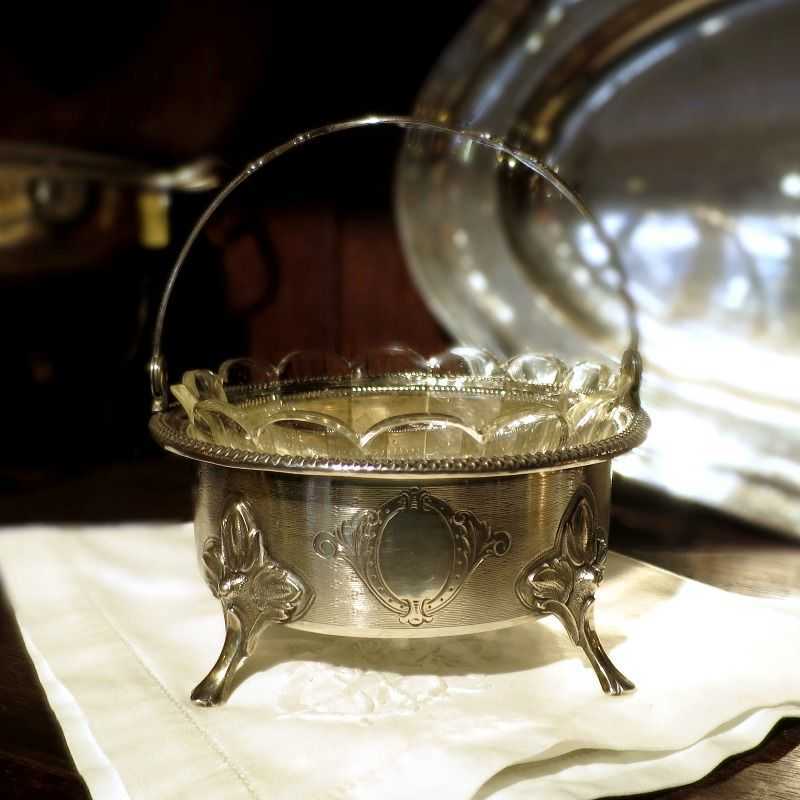 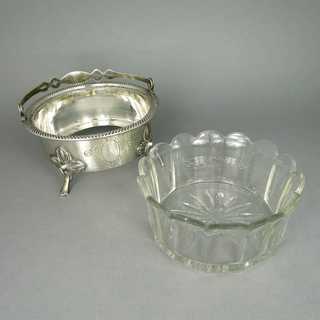 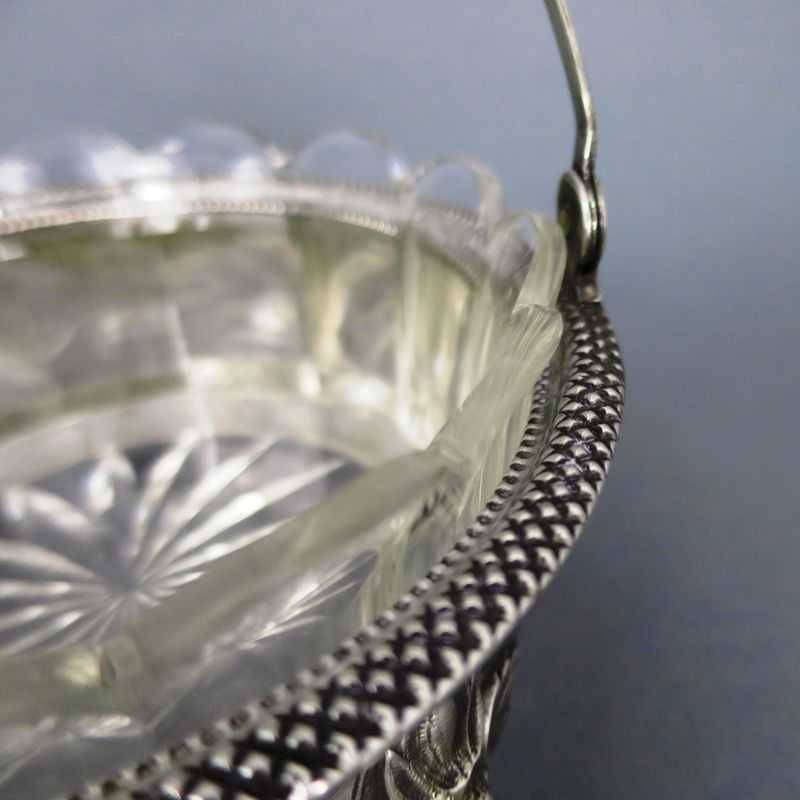 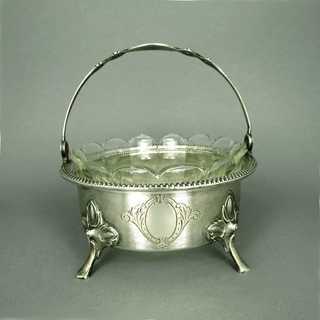 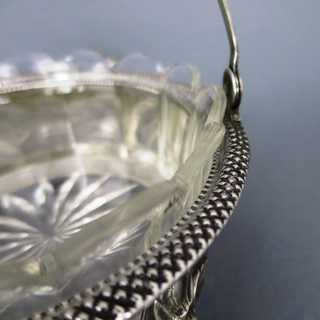 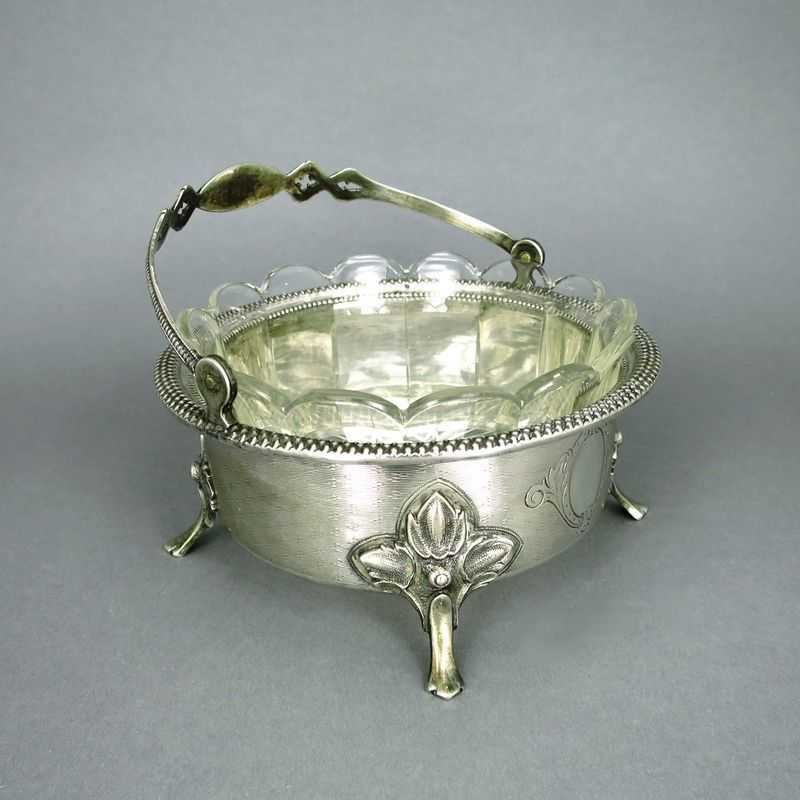 Beautiful victorian basket with glass bowl inlay. 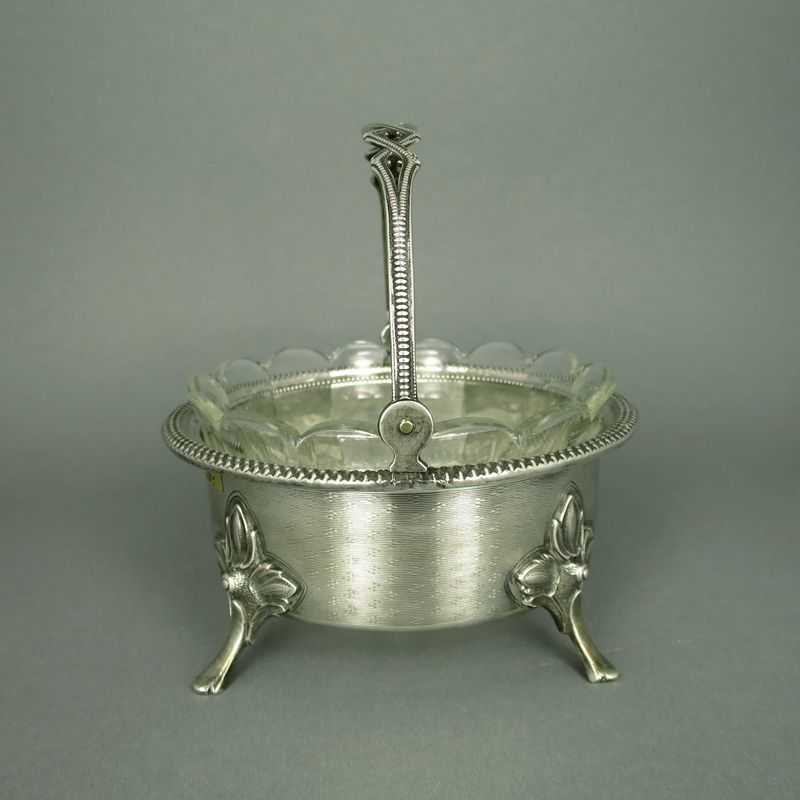 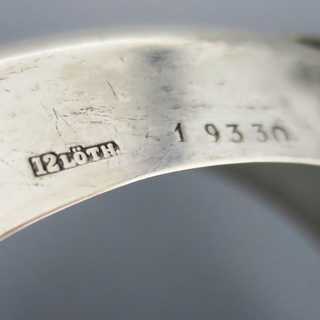 Slightly conical shape with bent rim, standing on four feets with leaf-decorated base, hinged handle. 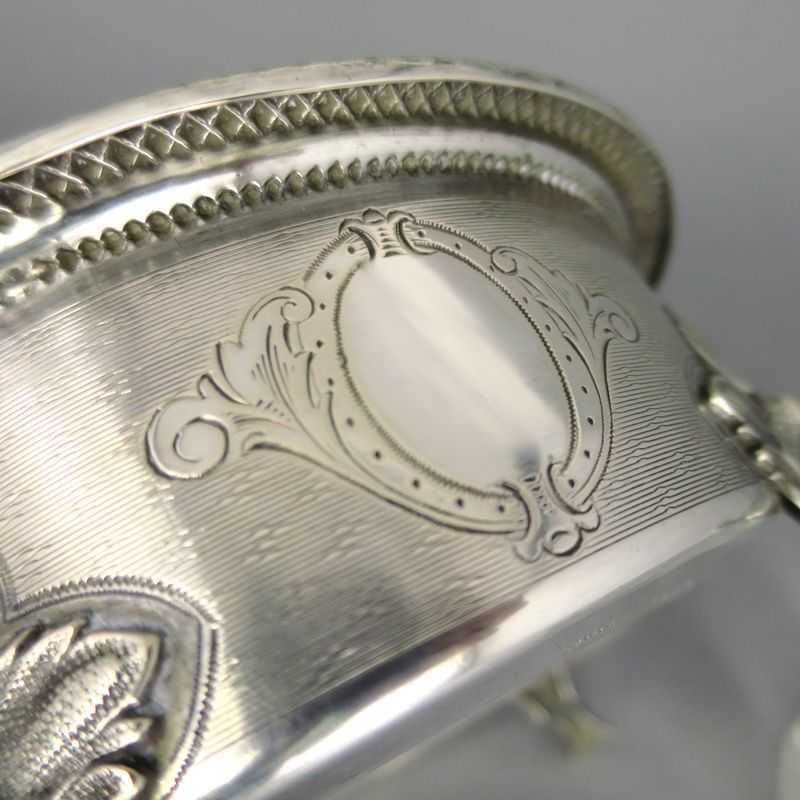 Walls decorated with engraved medalions with acanthus leaves, rim with lattice pattern. 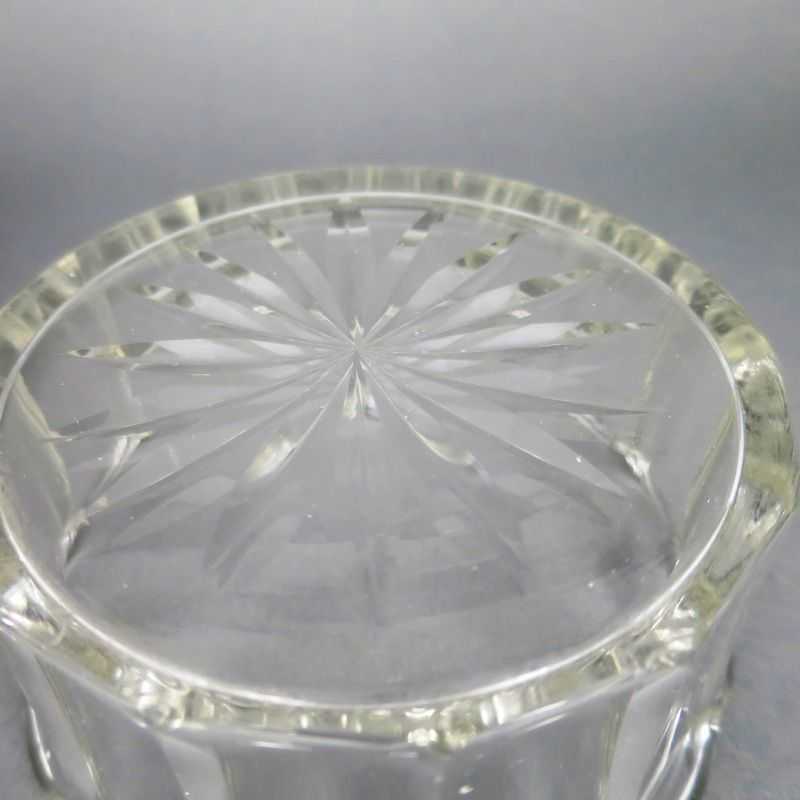 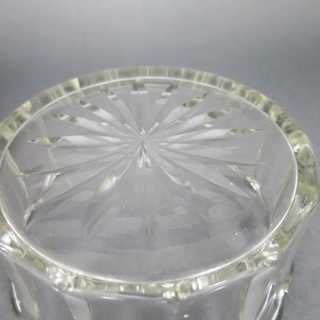 Inside a removable bowl, made from colorless, transparent crystal glass with cut bottom star and heavy scalopped rim. Made in Germany, before 1888.